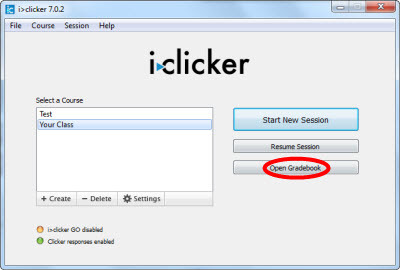 Instructions for how to access the iclicker v7integrated gradebook. When using the iclicker v7 polling system, the integrated gradebook records answers, points, and results. These instructions only work for version 7. If you need instructions for version 6, please refer to the version 6 articles. 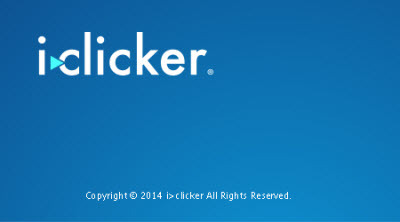 Step 1:Open the iclicker program. Step 2:Select your course and click Open Gradebook. Step 3:Results will be listed by student and the date of polling sessions.